Your Annual Membership Registration Form has been received. Many thanks. 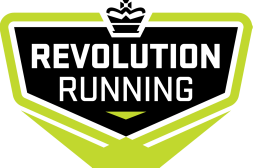 Your Revolution Running Membership will be applicable for 12 months from the seasonal program you start with. One time payment of $499.00 for the entire year. Choose monthly payments of only $41.58 for one year. (canceled payments will result in the termination of your Annual Membership).